If you don’t really know what you’re doing, not even the most detailed of tips and examples can help you get where you want. In the case of bodybuilding, not having an adequate training strategy will most likely result in frustration and stalled progress because of a lack of understanding of the bigger picture of the road to the achieving your goals. 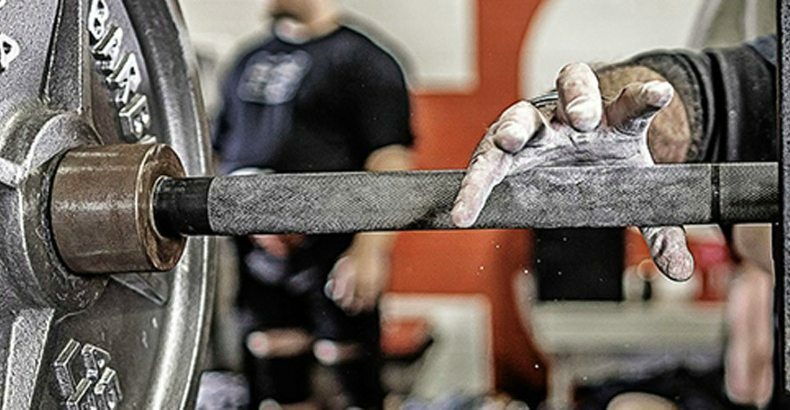 Here we have four strength training principles that you should read carefully and implement into your training philosophy if you want to stay motivated, smart training choices instead of just going with “whatever works” and always stay at the top of your game. By now you surely know the importance of multi-joint, compound exercises to building real, functional strength and adding a ton of mass to your frame. These moves recruit multiple muscle groups at once, stimulate the production of anabolic hormones and help strengthen core and stabilizer muscles. Without regularly performing compound exercises such as deadlifts, squats, presses, rows, dips and pull-ups, you’ll never be able to separate your physique from that of the average fit guy. Also, building muscle requires high intensity training, which can be achieved through working with heavy weights and pushing yourself a step beyond your limits or through completing higher rep ranges with slightly lighter weights. There are many ways to maximize training intensity, and it’s useful to mix things up a bit once in a while by simply changing your set and rep pattern and choice of weights. Most lifters use progressive overloading to continually increase the amount of weight they can handle, which generally brings about solid gains in muscle power and size in the long run. Anyway, one thing is for sure: to become bigger and stronger as fast as possible, you have to train as intensely as possible and make compound movements the centerpiece of your program. Okay, here’s one of the most neglected truths in bodybuilding: less is more. Adopting this kind of attitude towards your training will set you on the right path towards success. You might think that this principle contradicts the previous one we mentioned, but that’s not the case. “Less is more” in bodybuilding means that you don’t have train until you’re near-unconscious to make great gains, performing 20 different exercises for one body part won’t give you better results than opting for a wise selection of 5 and focusing on doing them with the proper form, weight and rep range, training twice every day won’t make you grow faster but it will set you back instead and…. you get the drill. Exercise quantity and extreme training frequency are not the keys to success in bodybuilding, nor is the habit of going mindlessly through as many motions as possible. Instead, focus on discovering what works best for your body, master the proper form and technique of every exercise and make sure you get plenty of rest and adequate nutrition between training sessions.